8” #ceramic #tile #art that I’m creating. 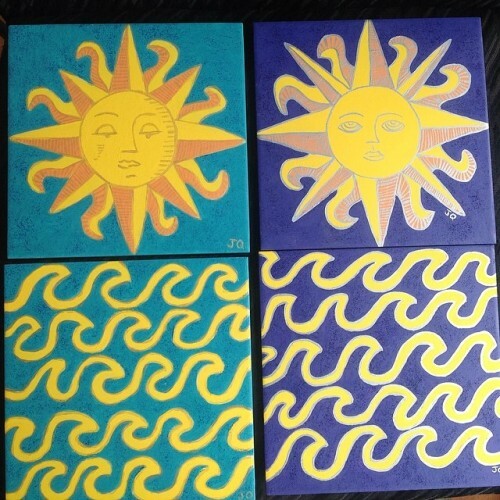 These are two #sets of #beautiful #suns and their #sunshine on the #waves below. Could be used as #decoration or #trivet. Will come with wall hangers too.